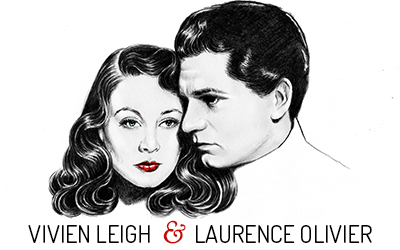 In the past, I have done the sort of bi-annual birthday/death day tributes to Laurence Olivier and Vivien Leigh in which I talk about what they mean to me, what they accomplished in their lifetimes, and why they are still relevant. This time, however, I thought I would let those who knew these marvelous and influential people speak for themselves. I can’t even remember the date of the morning Coley came into my suite at the Savoy, suffused with tears, and told me that Vivien had died. The shock was too violent. I mind too deeply about this to go on about it very much. She was a lovely, generous and darling friend, and I shall miss her always. Apparently Jacko [Marivale] came back from the theatre, saw her sleeping peacefully and went to warm up some soup for himself in the kitchen. When he came back a few minutes later she was lying on the floor in a welter of blood having had a haemorrhage. Jacko, with almost incredible courage and tact, cleaned up all the hideous mess because he knew that she would hate anybody, even the doctor, to see her like that. Then he telephoned for the doctor. Jacko is a good and kind man. A day or two later he rang me up and asked me to read the address at her memorial service which is, I believe, to be on the twenty-fourth. I lovingly but very firmly refused. I truly do not believe I could have done it without breaking down and making a shambles of it. I know this was cowardly, but I can’t regret it. The emotional strain would be ghastly, and as I am not feeling any too well at the moment it would possibly cause me great damage. All my own loved ones agree and I can only hope that they’re right. If it could have helped Vivien in any way I would have done anything, but it couldn’t because she’s gone for ever. I loathe and despise the miserable Christian trappings of death. Though I never got a chance to meet either Vivien or Larry, their impact on my life has been tremendous. Through their films I discovered my own love of classic cinema. They continue to inspire decades after their deaths, and I have no doubt they will keep inspiring people in future generations, such were the legacies they left behind in the entertainment world. 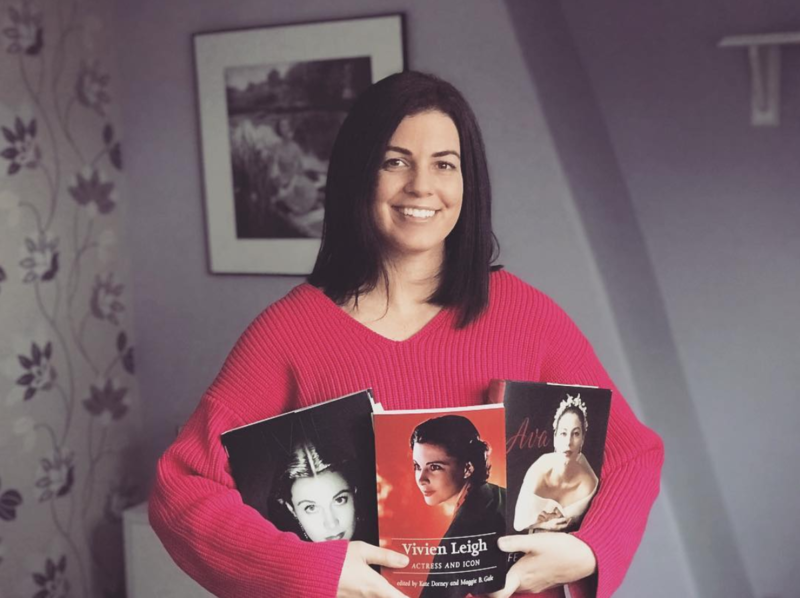 In Hugo Vickers’ biography of Vivien Leigh, there is a passage that describes Vivien’s mother seeking out a medium in effort to make contact with her daughter on the other side. 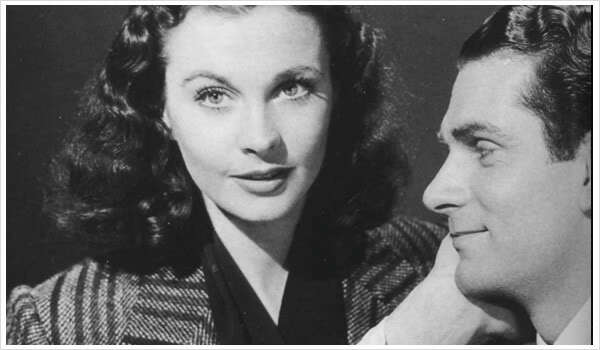 The medium said that Vivien did make contact, that she was rather drifting in limbo, and that she wanted to let Larry know that if he should go, she’d be waiting for him. I’m a bit of a skeptic when it comes to the supernatural, but it is a romantic idea that love transcends death. I like to believe that Vivien and Larry are together again and happy in the great beyond–having one big continuous party at the Notley in the sky. Here is a tribute video I made a while back. It is very Wuthering Heights! I love it! Very beautiful, Kendra. Thank you very much!!! I will try and get one made for Laurence Olivier sometime this weekend or Monday. what a lovely service; sad but a great sendoff. and the noel coward diary entry is heartbreaking. i like to think they’re together somewhere as well, in more than just the shared experience of death. 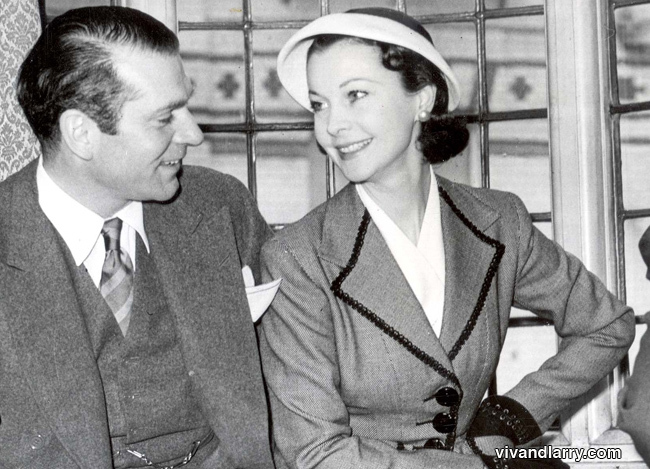 This website long with vivien leigh .com is the only websites i visited regularly for update. Well done on this superb tribute!